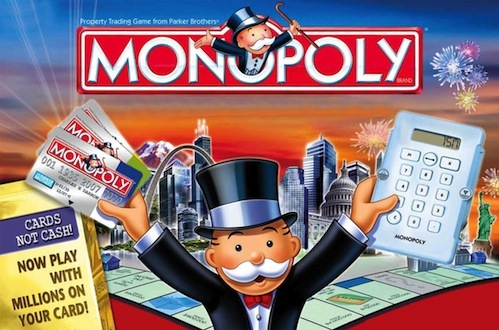 Following on from Battleship and Lego, the latest form of traditional home entertainment to get a potential cinematic release is classic long-form board game Monopoly, with game makers Hasbro creating a company agreement with Emmett/Furla Films over movie rights. The game itself has been around since the 1930’s, and while there have been plenty of digital gaming adaptations in recent years (including releases for smartphone users), it will be the first time that a cinematic story could be fleshed out of the property trading title. The move is one which Hasbro will hope gets further than their last attempt at producing a Monopoly movie, as a project two years ago from director Ridley Scott was dropped. Their hopes with Emmett/Furla, however, appear to be more positive, as they have aimed to finance and co-produce an untitled Monopoly film towards the development stages by next year. The deal also includes granting Emmett/Furla first option on a variety of other Hasbro properties, with the rumour mill so far suggesting a plausible cinematic option (Action Man) and a far-fetched one (Hungry Hungry Hippos) as future projects from the studio, as a further part of the arrangement seems to claim that the studio will produce three Hasbro films over the coming two years. With a modern institution of gaming (Cut the Rope) also set for an adaptation to screens over the coming years, which generation’s title will have the most video entertainment value?